Frozen yogurt shops seem to be all on most street corners these days and are a huge hit. And as fun and convienent as those shops are; it is really quite simple to make your own at home. We have only 5 ingredients and it really only takes about 5 minutes of prep time. The hardest step is waiting for it to churn in the ice cream maker. Place the yogurt, raspberries, sugar and lemon juice in a food processor or blender. Blend until smooth. Freeze in your ice cream maker according to the manufacturer’s instructions. Add in the chocolate for the last 5 minutes of churning. Serve immediately for a softer texture or freeze in an airtight container for a firmer yogurt. I was just thinking it’s time to put the ice cream buckets in the freezer. I don’t have raspberries so I’ll sub cherries & reduce the sugar a bit. Looks divine, I MYO Greek yogurt too! CTY – the cherries should be yummy! Let us know how you like it! This looks so good. 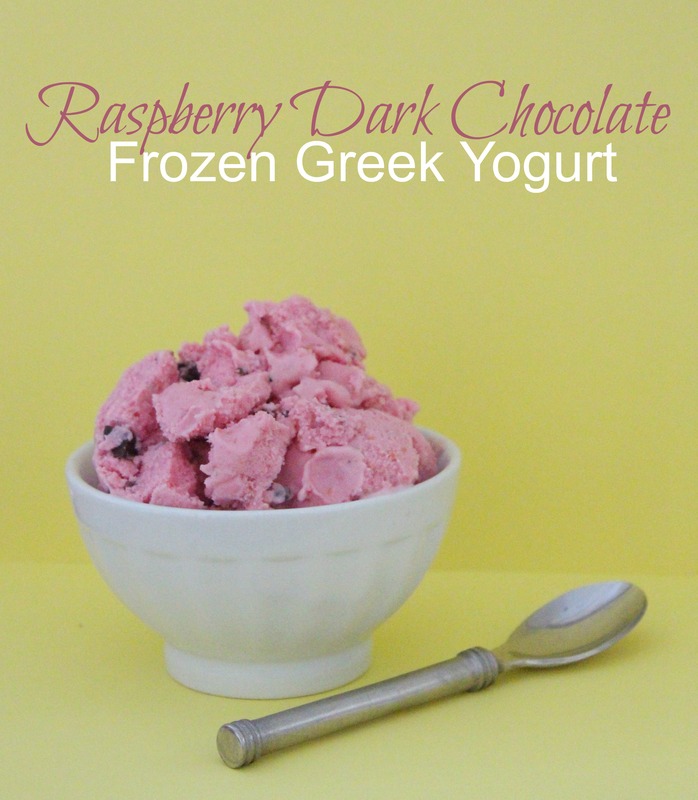 I love that it uses Greek Yogurt!